Join fellow Harvard club members as we enjoy food and drink tastings at five different restaurants and bars in downtown Durham. 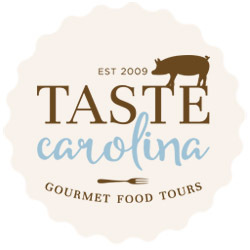 The restaurants featured on this tour are as farm-to-table as you will find and are all located in funky, rehabbed Durham historic buildings. You’ll visit multiple restaurants, talk with chefs, learn about the history, architecture and culinary landscape of downtown, and enjoy delicious food and drink. . Chefs prepare substantial tour tastings all paired with small drinks. Also included on this tour is a craft cocktail demonstration and tasting, as well as dessert made from locally-milled flour and local dairy. Space is limited!